Julia recently returned to Grand Rapids after years of working in New York City. Since returning, she has stage managed at Grand Rapids Civic Theatre (LittleWomen, Akeelah and the Beeand Cat in the Hat) and Grand Valley State University (King Lear). She has also designed props for several classes at Grand Rapids Civic Theatre. 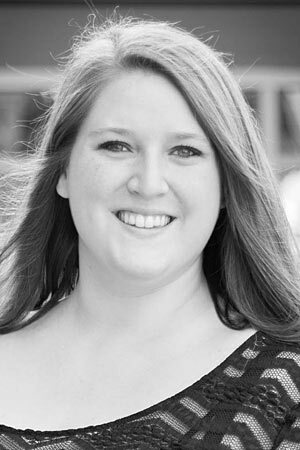 Julia has a degree in Stage Management from Western Michigan University where we worked on several projects including Stage Managing for the Department of Dance. Previous credits include being the Production Stage Manager at TADA! Youth Theatre where she stage managed over eight musicals, and coordinated many galas and community outreach events. Before that, she was a freelance stage manager working on projects with Potomac Theatre Project (Judith and Vinegar Tom), Tectonic Theater Project (Carmen) and many solo act festivals. She also worked as the Customer Service Manager at the Broadway ticket app TodayTix. I am inspired by the young minds that are helping to shape the future of theatre and the arts.